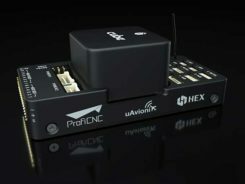 TobyRich has integrated OriginGPS’ Nano Hornet into a smartphone-controlled gaming drone line, to extend its range and enhance its directional capabilities. By leveraging the Nano Hornet, a tiny GPS module with an integrated antenna, TobyRich was able to design a smaller, sleeker form factor for its innovative drones while taking advantage of OriginGPS’ performance and low-power consumption features, according to TobyRich. TobyRich, established in 2011 and with deep experience in designing smartphone-controlled drones, launched a Kickstarter campaign that will run until Aug. 28 to offer a new, more interactive experience for video gamers and drone enthusiasts across the globe. The agile drones blend realistic flight maneuvers with innovative interactive gameplay and are designed to resemble an airplane rather than a quadcopter to extend flight time and carry more payload than traditional drones without compromising on functionality or performance. The drones can easily be controlled within a range of 90 meters via the tobyrich.red mobile app, which is available on iOS and Android. TobyRich’s drones combine the immersive experience of video games with the exhilaration of real flight to unlock possibilities such as mid-air battles, races, stunts and other gaming scenarios, plus additional applications such as aerial photography and video, the company said. Single and multiplayer gaming modes enable video gamers to live out their flight fantasies with friends or solo. To meet users’ exact interests, several different versions are in development, including the basic tobyrich.vegas model, tobyrich.tokyo, which features a HD camera, and tobyrich.guru, a 4G/LTE-enabled drone. With the help of OriginGPS, a TobyRich drone knows exactly where it is in relation to a user’s smart device, with unprecedented accuracy, allowing it to respond immediately and precisely to gesture controls or on-screen joysticks. OriginGPS’ location capabilities ensure that a drone will automatically return to its point of origin or a pre-programmed destination if it strays too far from its corresponding smart device or flight path, which reduces user frustration, minimizes human error and increases safety. Measuring 10 by 10 millimeters, the OriginGPS Nano Hornet module powers TobyRich’s flight management system by achieving a rapid time to first fix (TTFF) of less than one second, with approximately 1 meter accuracy and -163 dBm tracking sensitivity, and it uses OriginGPS’ proprietary Noise Free Zone technology to increase sensitivity and minimize interference. 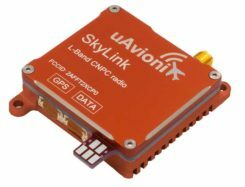 It achieves a state of near continuous availability, while consuming microwatts of battery power, ensuring maximal power is devoted to increasing drone flight times. Because OriginGPS’ modules are complete, plug-and-play solutions, they significantly shorten time to market and dramatically reduce engineering risks, the companies said.